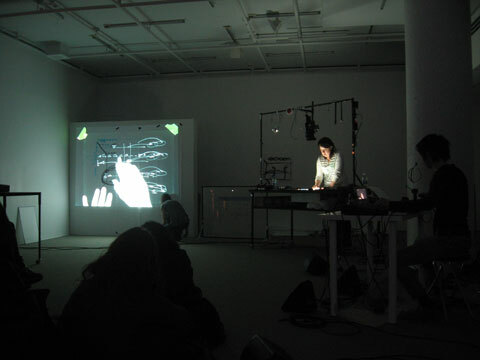 Manon de Pauw performs with collaborators "intrigues"
Life performance by Manon de Pauw, sound artist Nancy Tobin and chorographer Daniele Desnoyers at Gallery Uqam, Montreal. 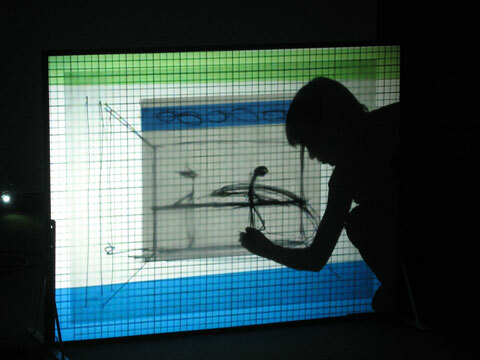 The artists were working with a light table on which they put different transparent and opaque materials or executing drawings. 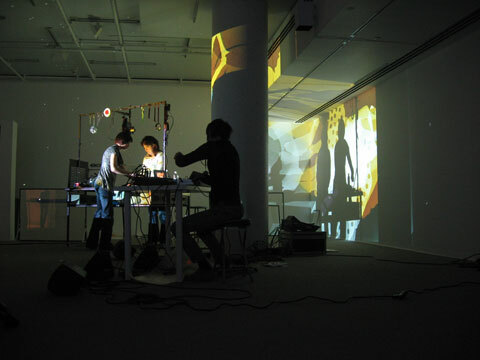 The image of the light table was captured with a video camera and projected on a wall. 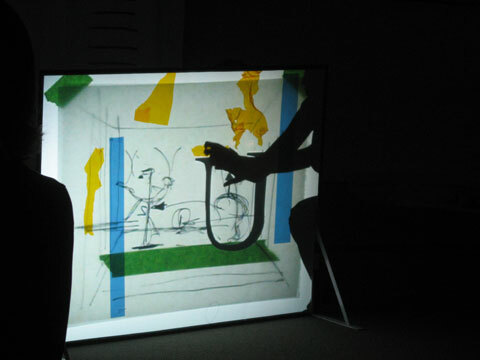 Interventions took place either directly on the light table or on the projection wall itself, where paper was used and real drawings executed. 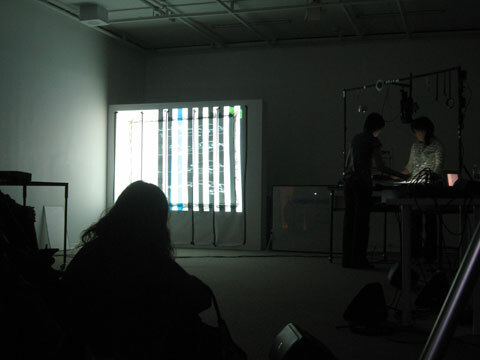 The experimental sound interventions worked perfectly with the projections. 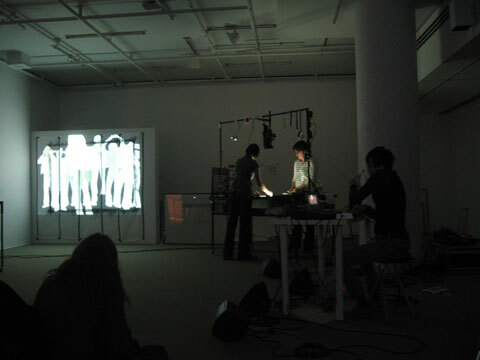 Most interesting I experienced small imperfections that were part of the performance.